If you want to drive safely during the cold season, it is highly advisable to invest in durable, high-quality snow tires (also called winter tires) launched on the market by some of the most respectable manufacturers. Do your homework properly to learn how to assess snow tires effectiveness and make an informed decision. Why Do I Need Snow Tires in the First Place? You may be tempted to think that people who do not live in areas impacted by harsh winters and abundant snowfalls do not need to purchase and install snow tires. In this case, you are wrong. Snow tires ensure safer, more enjoyable trips and help you get from point A to point B faster and with minimal effort, because they keep a strong grip on icy surfaces or on surfaces covered with snow. In other words, snow tires offer you the certainty that you won’t be stuck and enable you to steer and stop in a risk-free manner. Do I Really Need to Replace My All-Season Tires during the Cold Season? If you don’t want to take any chances, the answer is yes. If you have to drive on a daily basis in all kinds of weather conditions, winter tires should be considered a must-have. You should know that snow tires effectiveness varies a great deal according to several factors including quality, technology used in the manufacturing process, tread, and tire pressure. To maximize the effectiveness of your tires, check your tire pressure regularly and make sure it meets the guidelines that come with your automobile. Reducing your tire pressure won’t help you profit from a better grip on icy surfaces — this is just a myth. Moreover, when it comes to installing a new set of tires, place the ones with a better tread on the rear of your car; this will enable you to prevent accidents. If you need more info on snow tires effectiveness, just consult a snow removal expert. Find the best one in your area with TalkLocal, a free service created to help you track competent, local specialists in no time. John Deere, a brand well known for its agricultural machinery, also manufactures numerous attachments and implements for their riding mowers, tractors, and other equipment. One of their popular lineups of riding mower attachments is designed to ease the task of snow removal. Under this lineup, the choices include snow blowers, snow blade, and brooms. With this John Deere snow plow attachment, you will be able to remove snow from your walkways and driveways in a breeze. These snow blowers from John Deere are available in different sizes: 44 inches, 47 inches, and 54 inches. The 44-inch unit can be used in any snow condition and is more effective in removing snow than a one-stage snow thrower when plowing in heavy snow. The 47-inch unit is perfect for homes and estates that are located in areas that get heavy snowfall. It’s suited for use when you need to move the snow at farther distances. The 54 inch unit is the model to choose if you’re seeking a machine with a powerful snow bite and snow removal action. John Deere offers a 46-inch snow blade that enables light snow to be pushed conveniently to the side or straight on. This particular John Deere snow plow attachment is mounted to the front of the riding mower with a quick pin release. The angle of the blade can be adjusted left, right or straight ahead and it can be elevated from the tractor seat or lowered. This implement is meant for quick sweeping jobs in any season from dethatching lawns in spring, sweeping areas in summer and raking leaves in autumn. During winter, this heavy-duty broom attachment is designed to move up to two inches of snow and can replace snow blowers in some areas. It is available in 52-inch and 60-inch models. Looking for Professional Snow Removal? When you choose to hire snow removal professionals but you’re not sure who to turn to, contact Seva Call first. We will connect you directly with the most reliable service professional in your area within minutes, and it’s for free. Buying a used snow blower attachment can be a practical consumer decision if you’re fortunate enough to find yourself something that is still in fairly good condition with only minimal cleanup or tuning up required to be functional. 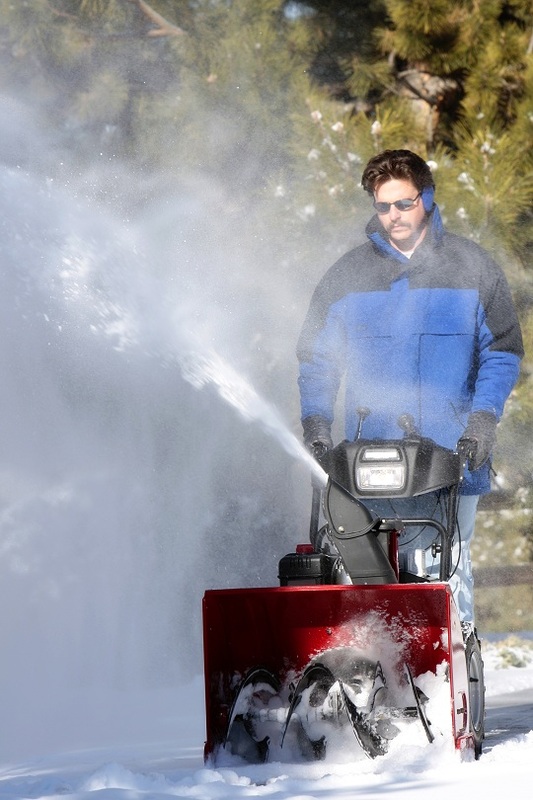 There are several avenues to find a used snow blower attachment. You can start looking at the classified ads section of local newspapers, as these machines are usually sold any time of the year due to moving or estate sales. Online sites for classified ads such as Craigslist or online auction sites like eBay are also great places to search for a used snow blower attachment from private individual sellers. When shopping for used components, however, the best thing to always do is to go to a source you trust, such as a local retailer of snow blowers and similar machines. You can also ask people you know if they or someone they know happens to be selling a used snow blower attachment. If you can find such a deal, it would lower your total cost, since you can simply pick up the machine instead of paying shipping charges. – You would want to look for a snow blower attachment that has only been slightly used. A demo unit would be ideal. – When shopping online, if you come upon a certain model that seems like a good product, make sure to do your homework first. Find out more information about the model and read online ratings and reviews. – If you can avoid it, it’s better not to buy from a faraway seller to avoid costly shipping fees and allow you to inspect the unit before making the purchase. – Spring and summer months are the perfect time to buy a used snow blower attachment when people are ready to sell their equipment after the snow season, and you can negotiate the price since there’s little demand for the unit around this time. Facing snow removal problems? Contact Seva Call now and we’ll help you locate a professional to help with removing snow from your property. 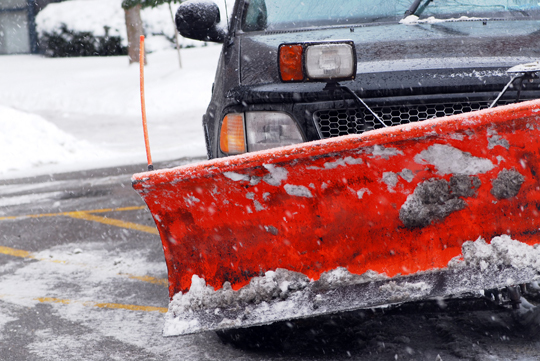 Be connected with up to three local snow removal professionals in just minutes. Drivers who live in areas affected by abundant snowfalls and reduced temperatures during the cold season shouldn’t cut any corners when it comes to purchasing the best tires for snow. Winter tires ensure an excellent grip on icy surfaces and minimize collision risks on any type of road. However, there are numerous types of winter tires currently available on the market. They are launched by several manufacturers and display different features. Keep reading to find out how you could spot the best ones for you in no time. If you want to make an informed purchase and invest in durable, high-quality snow tires designed to make all your wintertime trips safer and much more enjoyable, start by consulting a collection of owner reviews, available online. This is the easiest method to compare different tire models and make a smart long-term investment. According to customer reviews, some of the best types of winter tires come from respectable brands, like Michelin or Bridgestone for instance. Michelin Pilot Alpin PA4 tires are well liked for their elevated tread life; they also ensure a comfortable, safe ride in the harshest weather conditions. The Nokian Hakkapeliitta 7 tires outshine their main competitors with their superior ice grip. Moreover, the Bridgestone Blizzak DM-V1 tires are durable, highly resistant, and guarantee a high level of safety in icy roads and relatively quiet trips. When it comes to buying the very best tires for snow, it is recommended to identify the most reliable candidates for this job based on three selection criteria: durability (great models should last for more than three winters, the equivalent of 20,000 miles), warranty, and a smooth, risk-free ride. Don’t know how to spot the best tires snow on your own? If so, discuss your options with a snow removal expert. Find the best ones in your area with Seva Call, your #1 connection to the best professionals. Husqvarna is a top manufacturer of mowing machinery, trimmers, saws, cutters, and other equipment for turf care and ground care. For winter season yard maintenance, Husqvarna offers several models of heavy-duty snow throwers as well as snow plowing accessories. Depending on what you want to accomplish, there’s a right Husqvarna snow plow attachment for your specific needs. Husqvarna offers a 48-inch snow blade that is suited for all Husqvarna tractor models from 2008 and later. This blade can be angled up to 30 degrees on either the left or right side. The angle can be lowered or raised and can be adjusted from the seat. Another similar Husqvarna snow plow attachment, the 48-inch snow/dozer blade, can be used to doze off snow as well as rock, dirt, or sand. There’s also a particular snow blade designed for articulating riding mowers, which is ideal for plowing through snow depth of 8 inches or less. This Husqvarna snow plow attachment converts a riding mower to a snow blower. Husqvarna snow blowers are two-stage attachments and are available in 42-inch and 50-inch widths. Husqvarna‘s entry level snow blower can clear snow up to 1 ½ feet. It has a powerful auger that pulls in the snow and blows it away at high speed. The chute can be adjusted to change the direction of snow discharge. Husqvarna also has a snow blower designed to be mounted to the Husqvarna articulating riding mower and another to the front of a tractor. Both provide the user an aggressive machine for snow clearing jobs, although the snow blower attachment for the riding mower has limitations when it comes to steep grade of the terrain. Don’t have the time, tools, or energy to shovel snow from your property? When you need expert snow removal services, you can count on Seva Call to help locate the best service providers in your area. Contact us and be connected immediately to the best local snow removal companies. 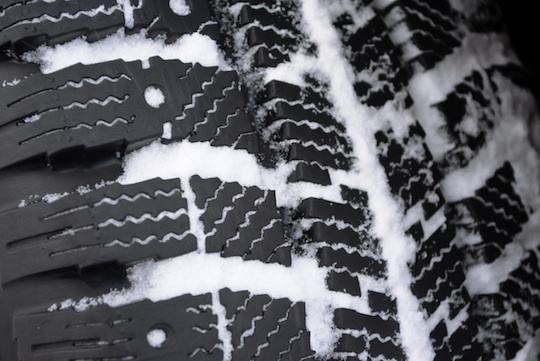 Snow tires are tires that are specially made to be used in the winter to provide additional traction to cars. Unlike all-season regular tires, snow tires are made of a stronger rubber compound material and can feature studs for much better grip. While it may seem like a good idea to always equip your car with this set of tires, they have their own disadvantages, which creates the need for regular tires. The best thing that snow tires do is give your car a greater grip. Without question, snow tires offer better grip than any type of all-season tires on snow- or ice-covered roads. This is not surprising, since they are designed precisely to do this. These tires are able to provide the most superior grip and traction possible because they have a softer type of rubber that can clutch to cold surfaces much better with deeper treads that are sometimes combined with studs. Using snow tires is a must for anyone living in areas that experience harsh winters; regular tires simply won’t do. Another advantage of snow tires is much improved braking, which is crucial in snowy or generally poor road conditions. 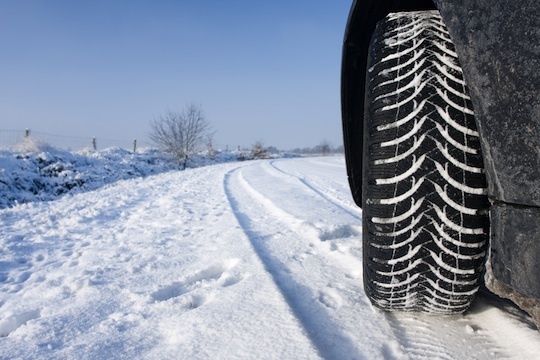 Regular tires tend to lock up on icy roads and skid dangerously, but snow tires can prevent this, thanks to their superior braking and grip that allows them to dig into the snow and safely put the car to brake. On the downside, snow tires are relatively less sturdy than all-weather tires because of the fact that they are made of softer rubber. Thus, they wear down faster, especially when they are used during normal weather when road conditions are not meant for their specific design. Also, the design of these tires makes vehicles more difficult to handle, so drivers must drive with even more care. One of the most common negative snow tire effects is their impact on roads. Asphalt roads can be ruined overtime by snow tires with studs when these are used all year round instead of just in winter weather. Potholes and other deterioration on the road can occur from the use of snow tires when not warranted. As explained above, knowing when to use regular tires and when to use snow tires is important. Check outside conditions and always switch to snow tires when the ground is already covered with a layer of snow. Local media also usually give out warnings when snow tires should be used. Need Help With Snow Removal? Aside from using snow tires, another thing that’s necessary during winter is snow removal. Find a local contractor to remove the snow from your driveway or walk way. Seva Call is your free connection to trusted local snow removal companies. Try Seva Call now! SnowDogg is a well-known brand of residential and commercial snow plows. There is a wide variety of SnowDogg snow plows available, as well as accessories suited to most pickup trucks and SUVs. Below is some basic information about the SnowDogg brand of snowplows if you’re interested in investing in one of these excellent snow removal products. If you have a smaller truck or SUV, the SnowDogg MD line of snow plows is perfect for you, while the SnowDogg VMD, SnowDogg HD, and SnowDogg EX are for half-ton, three-quarter-ton, and super duty trucks, respectively. If you’re looking for SnowDogg snow plows for medium-duty trucks, then look at the SnowDogg CM model. SnowDogg also offers snow plows with specific designs, such as the SnowDogg XP, which has an expanding wing that adds 24 inches to the plowing width. The SnowDogg TE has a trip edge to keep snow right in front of the plow, and the SnowDogg VXF has a V-Plow design for ultimate plowing performance and flexibility. With all the SnowDogg snow plows to choose from, it may be tricky to determine right away which one you should use for your truck. This is why the SnowDogg website has an online plow selector to help you identify which plow will work with the specific configuration of your truck. You simply need to choose from a list of options the style and length of snow plow that you’ll need. In terms of the design of the blades, this would depend on your own preference. The important thing is to make sure you pick a snow plow with adequate length to cover your truck’s front tires. If you need professional snow removal services now, just contact Seva Call. We don’t waste any time. We’ll connect you directly with up to three, pre-screened, local snow removal companies within a few minutes of contacting us. Try us now! Removing snow from your property can be a very time-consuming and physically demanding task, especially if you need to clear snow off a long driveway or a spacious parking area. With a personal snow plow, snow removal is made much easier and quicker. This machine is available for different types of vehicles, but it is typically attached to a pickup truck. This is a simple guide how to plow snow with your pickup truck. 1. Attach a hitch to the pickup truck where you can bolt the plow. Check if you need to lower the snow blade before you start plowing, and if so make sure to get this done. 2. Start plowing by simply driving forward, and then back the truck in reverse to leave the snow where you want to pile it. Take a careful approach to ensure you don’t waste fuel, and to get the job done quickly. 3. To plow large parking areas: Start at the furthest point from where you want to pile the snow. Work from one side to another, methodically moving the snow to the pile. You may have to give some areas more than one pass to remove all snow, depending on how deep the snowfall is or how long it has been since you last plowed. 4. To plow long driveways: Start at the bottom of your driveway, and work your way up to where you plan to locate the snow pile. Again, be systematic with your plowing as you move from one side to the opposite side. You will most likely need to plow some areas more than once to remove leftover snow. You may be able to adjust the angling of the snow blade, depending on the type of snow plow you have. If this feature is available, adjust the snow blade so you can plow either straight on or at an angle, which is ideal for long driveways. Remove the snow plow to convert the truck for regular use. For next time, make attachment quick and easy when you need to plow snow agin. Pickup truck hitch plugs can be used to prevent snow or any debris from entering the hitch. 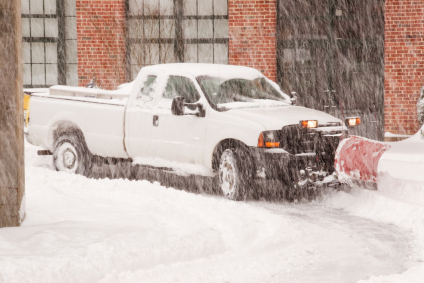 Do you need assistance in attaching a plow snow to your pickup truck or do you need help with snow removal? Seva Call saves you time searching for professional services. We’ll connect you directly to snow removal companies in your area within a few minutes. Contact us now! If you want keep your property clean during winter but don’t want to remove snow on your own, you can benefit from a convenient snow plow service. Believe it or not, finding the best snow removal experts in your area is easy when you know where to look and what to ask for. Professional snow plow services aren’t cheap; they could end up costing you anywhere from $250 to $400 (excluding sidewalks), depending on the surface that you want to clean, the fees charged by the contracted company, and the area where you live. Always ask for up-front estimates before shaking hands with snow removal experts and get that contract in writing, to avoid misunderstandings and unpleasant situations. As a matter of fact, to profit from the best deals and save some money in the process, try to get at least 3-4 estimates from different companies and go in favor of the one that displays the best price-quality relationship. Also, here are a few other tips enabling you to make a smart decision. 1) Try to pay up-front, and choose checks or credit/debit cards as a payment method. 2) Check client reviews before opting for services provided by a particular company. 3) Make sure that your contractor has a valid snowplow permit, if your town requires you to deal only with companies with this type of permit; the permit gives you the certainty that you’d be able to identify the contractor and perhaps even ask them for a refund or make a complaint in writing if you are dissatisfied with their services. Looking for the very best snow plow service in your area? In this case, find it quickly with Seva Call, your free connection to the best professionals in your area. We will connect you with up to three, local snow removal professionals, so you can get the help you need when you need it most. People who live in areas impacted by harsh winters should take a few extra measures of precaution to protect their properties against water damage. 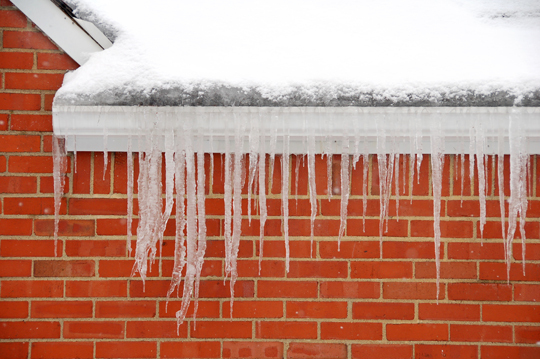 Melted snow can easily take you by surprise and cause an endless list of costly roofing problems. This is the main reason why you should protect your gutters by implementing cheap, easy-to-install snow guards gutters. How Can Snow Gutter Guards actually Help You? How Could I Choose the Right Snow Gutter Guards? There are numerous appealing options on the market, so finding the most suitable snow guards gutters can take time. To simplify your mission, start by consulting online reviews. Melted snow guards are considered an excellent investment, since they can withstand lower temperatures and manage to prevent icicles from appearing on your roof. Moreover, the most effective types of gutter guards also stop debris, small animals, tree branches, and dead leaves from clogging your gutter system and keep it clean and fully-functional for many years to come. On average, good snow guards gutters can help you save up to $1,500 annually, otherwise spent on gutter cleaning operations. Not sure how to find and install the best guards? If so, just consult a dependable local roofer. Find the most reliable ones with Seva Call, your number one connection to the best professionals in your area.